Verrex has opened an office in Hong Kong, joining Shanghai as its second office in Asia and the fifth globally for the 70-year-old systems integrator. Located in the metropolitan hub of Wan Chai, Verrex Asia Ltd. will deliver the company’s entire AV systems integration and global managed services portfolio to Hong Kong, China and other Asia Pacific markets. Overseen by Verrex China/Asia Pacific business director, David Kwok, and senior sales manager, Alex Chan, CTS, Hong Kong mirrors the integrator’s North American HQ including sales, engineering, project management, field installation, field service, and service desk, and will support a multinational and regional client and partner base. Verrex will celebrate its Hong Kong office opening on January 12 with an invitation-only event for partners and key manufacturers in the region. 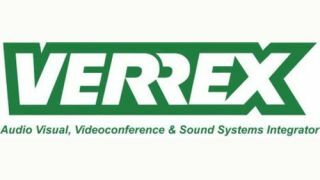 In attendance will be Verrex CEO, Thomas Berry, Jr., CTS.